So what led me here? Fate I’d have to say. 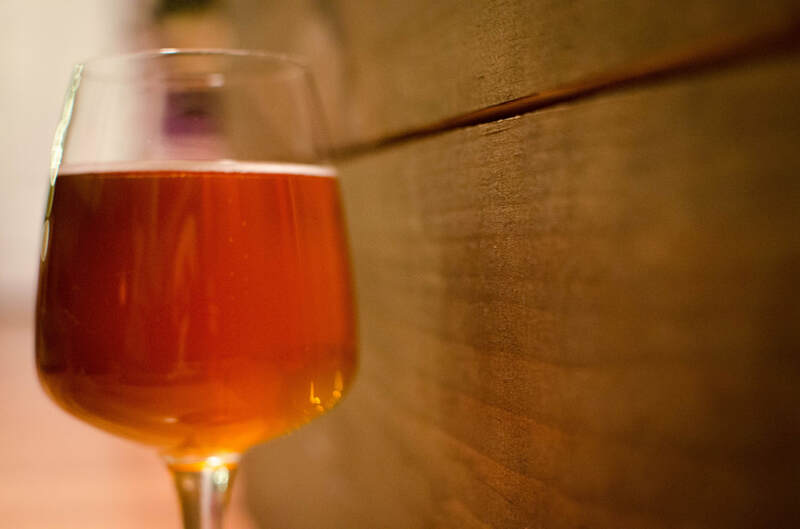 After becoming a Food and Beverage Manager & starting the Sommelier program at the age of 24, it was during a session on beer in the course that peaked my interest into different beer styles. Growing up on the south Shore of Nova Scotia I was no stranger to beer. But the commercial beers we all drank never got me excited. It was a class of tasting what else was out there that led to my interest in brewing. A few years later I decided to take the culinary arts program at the NSCC. Although not a brewing program I attribute this course to teaching me recipe building & tight control practices that can be transferred from cooking to brewing. 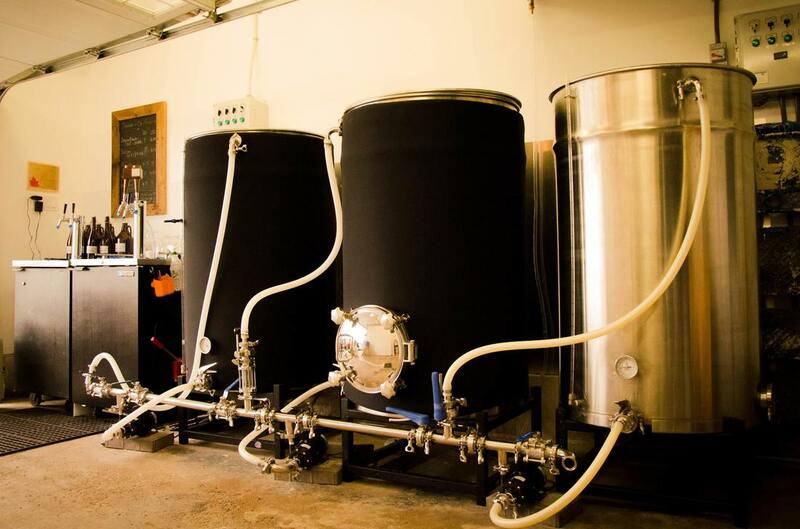 During the planning process for this brewery one financial advisor said this was an industry proliferated by engineers for a reason, because consistency was key. My answer? Yes, and so is 17 years in the restaurant industry, where production of the same item from table to table makes the difference between an ok restaurant & an exceptional one. I love to cook, and I love my job. Since a part time restaurant open two days a week would never fly, a natural progression to brewing commercially just made sense. I can use the same skills I learned cooking in producing a quality product that can be enjoyed by everyone. I’ve always wanted to fully understand what I’m passionate about. While studying for the sommelier program I planted a small vineyard to better understand the cycle of growing to production of wine. And my desire to understand beer took a similar path. From brewing small batches once a month to brewing weekly & giving away beer to elicit feedback, I made a giant leap to commercial brewing. Folks kept asking for more of what I was making & requesting beers be made again, it led to skipping a few steps, from 20 litre batches to 400 litre batches. And hope my friends were thirsty! We’ve chosen Traditionally Different to be both our slogan & our mission. We will produce a line of recipes traditional to style, much of them traditional German recipes paying homage to my surname and relatives who were some of the first to settle here on the south shore. Our main beer to be produced is a lightly hopped pale ale, as well as our lighter Dampfbier & darker Roggenbier. The second part of our slogan/mission is Different, referring to my culinary roots and need to be constantly creating and changing. We’ll be doing different beers & experimenting with this line, like our Cabernet Franc Stout or Chardonnay Hefeweizen that we produced last year with grapes grown in our onsite vineyard, or the almost 2 year old aged stout that we’ve been tasting along its aging journey in the cellar & other playing with hops & yeasts to create beers that mimic some of my favourite wines in both aromas & flavours. But our main goal is to produce beer that can be enjoyed by everyone. Sure we’ll have a higher hopped ale with just the right amount of bitterness to please the hoppy beer lovers, but our focus is to make beer for folks that would like something a bit more interesting than what the giant multinational corporations are making. So please give our beer a try. And if there’s something you like or don’t like about it, let us know. We appreciate hearing from you.